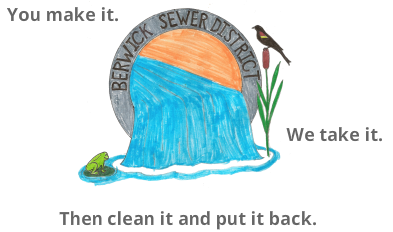 The Board of Trustees of the Berwick Sewer District meets on the last Wednesday of every month. The Sewer District has 5 trustees, who are appointed by the Berwick Selectmen and serve 3 year terms. We would love to see you there! If you have a specific item you would like to discuss, please call us to let us know, and we will add you to the agenda. If you are interested in agenda or minutes, call.